This 1 hr. 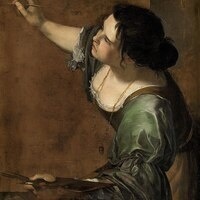 docu-drama is the first such production about the compelling Baroque artist, Artemisia Gentileschi. Her story is one that resonates today in the #MeToo age, and her dramatic paintings give voice to a woman's life experiences and perspectives. Conversation after the film will be led by students from J. Dabbs "Women & Art" course. And refreshments will be served!